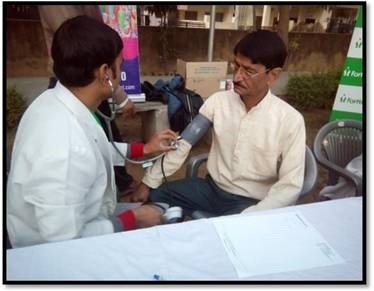 As a part of Suprabhat, Fortis Escorts Hospital, Jaipur in association with Kayast Charitable Trust organized a basic health screening camp for morning joggers and walkers at Ecological Park, Pratap Nagar. Over 60 people attended this camp and availed the following services – BP Check, Random Blood Sugar Check, Consultations by Physician and Dentist, and Diet Counseling. Provided medical support including nursing staff, fully equipped Ambulance and first aid in JAS19, one of the most popular Jewellery show in Jaipur. A session on First Aid & BLS Training was organized at IGNOU, Mansarover, Jaipur. The session was led by Mrs Starly Ashis. 20 employees were trained during this session. Fortis Escorts Hospital, Jaipur, wins Quality Council of India DL Shah Award for 5th consecutive year!